I love to cook. I love food and I try hard to make our dinners as delicious as possible...and, well, there's my husband. The man who loves Mexican food but ended up marrying a German girl (with a crazy attitude and temper) who had little exposure to Mexican or Tex-Mex cooking. 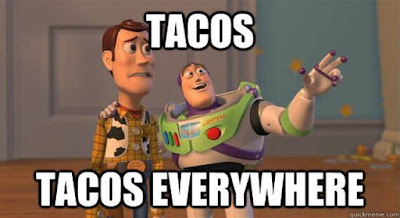 Our first few “Let's try Mexican food” nights ended usually with me not liking dinner, crying over Jalapenos or starving. I just simply didn't like it when we'd try it in restaurants. I learned how to cook it myself. 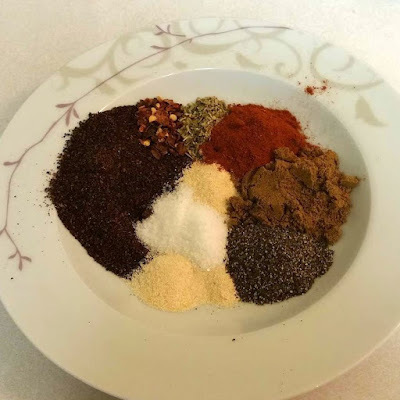 I experimented with spices and recipe ideas, I had a Mexican neighbor who helped explain to me the basics and taught me a trick or two. 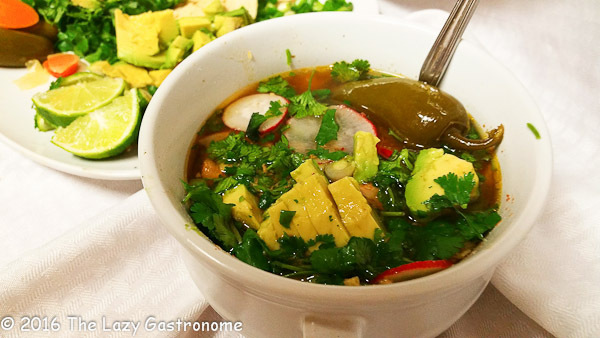 Now I love it and Mexican dishes have become a regular part of our dinner plan that we all look forward to. As I learned to prepare meals myself, I never learned to like the store bought Taco Seasoning packets. To me it just tastes super salty and is either flavorless or the flavor is unsatisfying. The ingredients list doesn't exactly make it more appealing either. 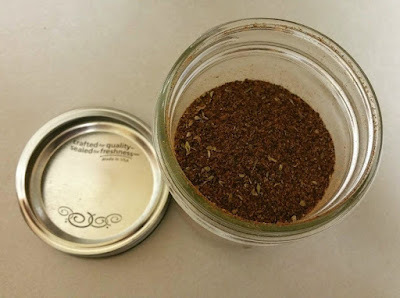 One day I got so annoyed with it that I spent hours over hours researching the ultimate Taco Seasoning Recipe, I pinned a ton of pins on Pinterest and wasted a ton of spices by trying them all out. 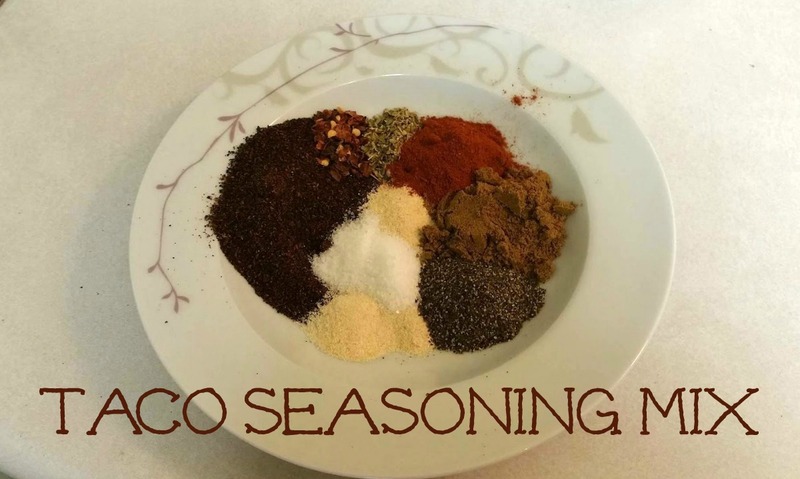 The realization of the day was that taco seasoning is basically Chili powder, Cumin, Black Pepper, Salt, Onion Powder, Garlic Powder, Oregano (optional) & Crushed Peppers (optional), and you somehow have to carefully balance them all to create a delicious seasoning. What I also realized in my research was that the quality of your spices is something very, very essential for a good seasoning mix. 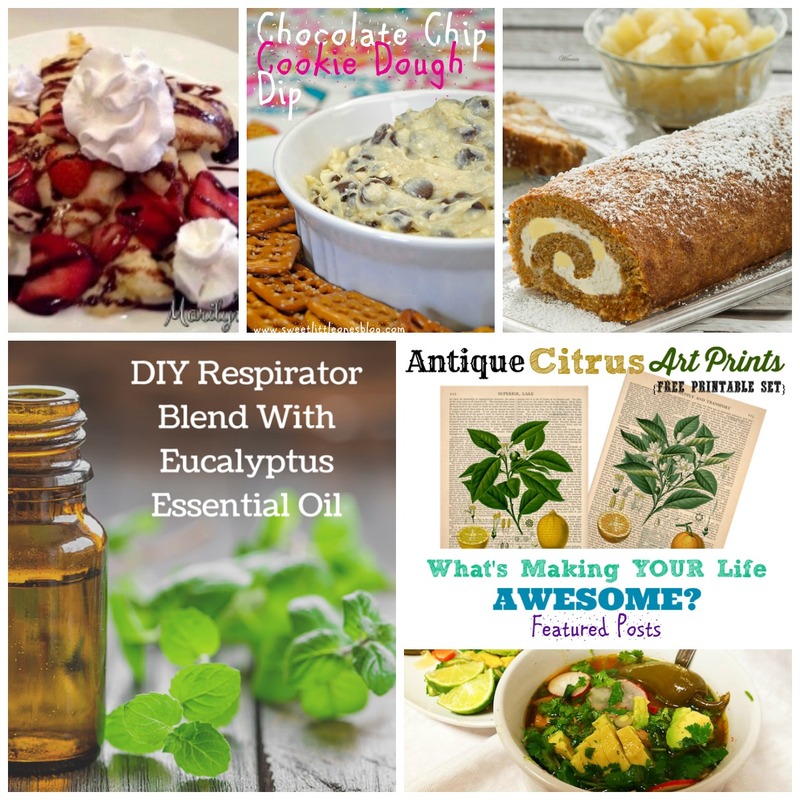 But don't worry if you only have the regular McCormick seasonings or cheap store brand alternatives at home, it will still create something delicious and so much better than the seasoning pack blends. After all that research and trial, I honestly just threw a whole bunch together and tried it. And liked it! Here's the recipe that (hopefully) will change your life (because Tacos are Life - just ask my husband). Just mix them all up and put them in a mason jar or zip lock bag. This mix makes approximately ½ pint jar full of seasoning. Use 2.5 Tablespoons for each packet you'd otherwise use - but one of the advantages of getting away from the packets is that you can decrease or increase the amount as you prefer. 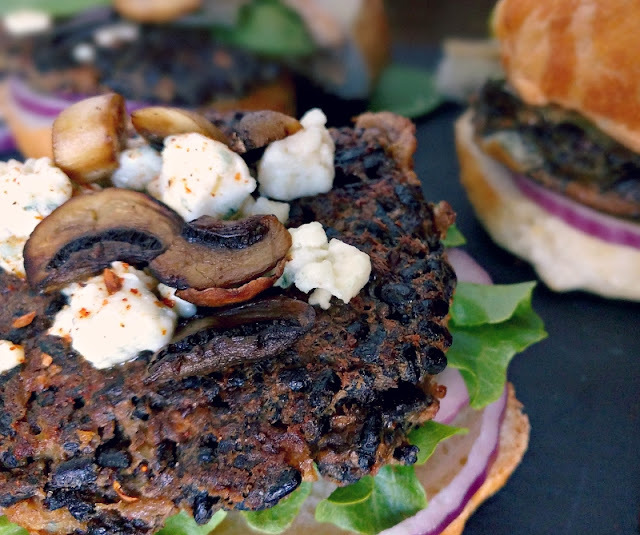 Let me know in the comments below how you liked that recipe and if you ended up changing it a little bit to fit your taste buds! I'm going to be completely honest. My pets are family. It's simply how I was raised. Our dogs were my other brothers, just furry and four legged. So, it stands to reason that, once I was older and had pets of my own - a cat and then a dog - they would be my “fur babies”. As such, they are extra loved (or as some people might say, spoiled rotten). I am, therefore, always on the lookout for new ways to treat my pets. 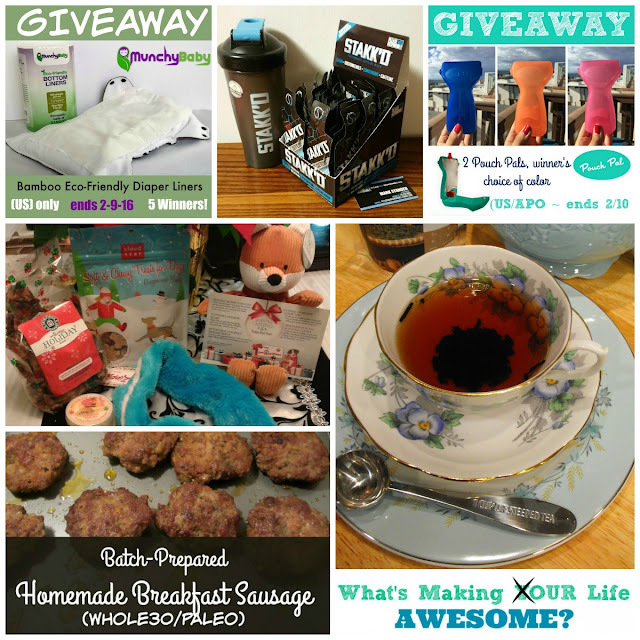 A pet subscription box seemed to be just the thing! 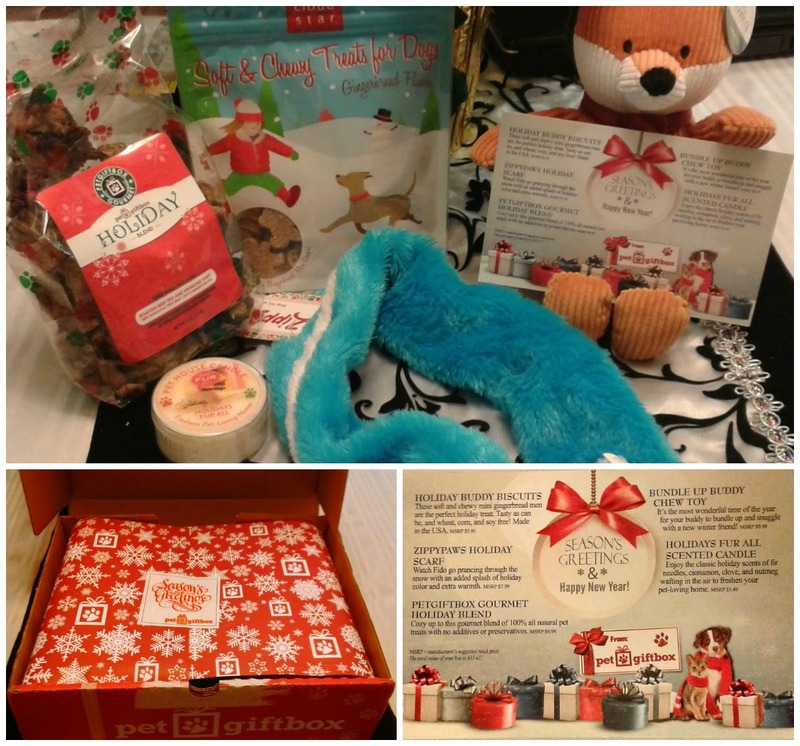 Pet Gift Box offers subscription boxes for both cats and dogs, with dogs having three size options: petite pup for those 20lbs and under, mid-sized pup for dogs 20-50lbs, and hefty hound for those doggies who are over 50lbs. My dearest Muttface, Gregor, comes in at about 75lbs, so he definitely qualifies as a hefty hound. My first month of the Pet Gift Box was December, with the box arriving just a few days before Christmas. The box itself looks like a gift wrapped up, and opens up to reveal the goodies inside, complete with a handy identifying card. For Christmas, Gregor got: a cute looking scarf, a plushy fox toy with a squeaker inside, two types of treats (one gingerbready and one and a holiday blend of beef tips and crunchy tubes), and a scented candle to give to mom (that'd be me). The ZippyPaws Holiday Scarf is a faux fur scarf in a cheery bright blue with a white stripe, with a loop sewn into one end that you can thread the other through. It looks rather fetching on Gregor, and adds an extra, if nearly superfluous, layer of warmth on a cold midwinter's eve. 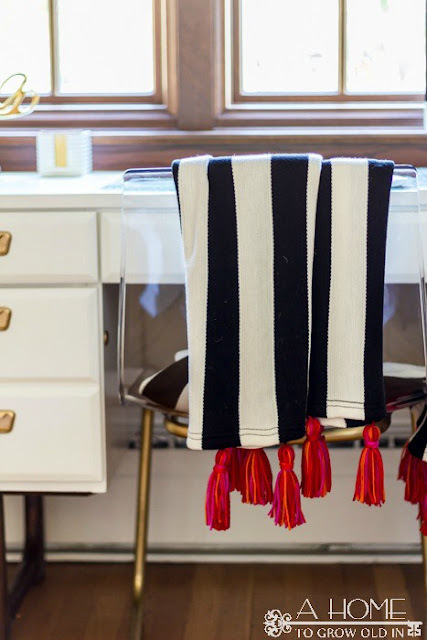 I find it makes a charming change up from the more common handkerchief style scarf. 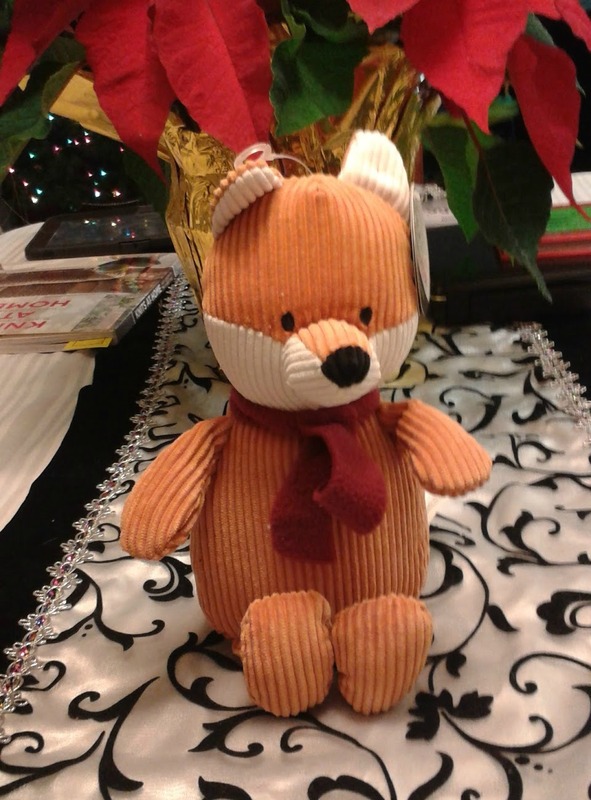 The Bundle Up Buddy Chew Toy provided my Muttface with a super cute corduroy fox wearing his own scarf. This squeaker toy has a noticeably deeper squeak than his other toys and is his first actual plushy toy. All his others have been all rubber, balls or stuffingless. I was worried at first that it might become a toy for the children, however Gregor seems to be quite taken with it. The box also had two styles of treats for Gregor to enjoy. 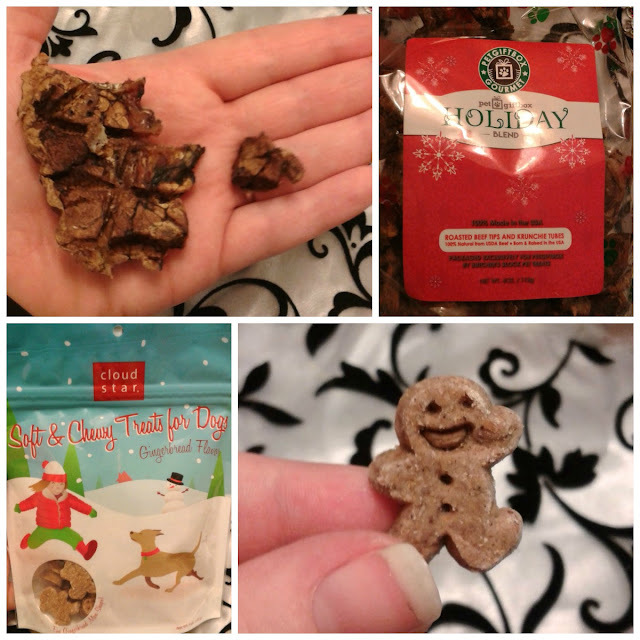 One was the Pet Gift Box Gourmet Holiday Blend with what seems to be freeze dried bits of beef and crunchy tubes that honestly look like trachea. Gregor loves them. The other was the Holiday Buddy Biscuits, which are smaller gingerbread man shaped treats made without wheat, corn, or soy. Opening up the bag of them, you can't help but think HOLIDAY! 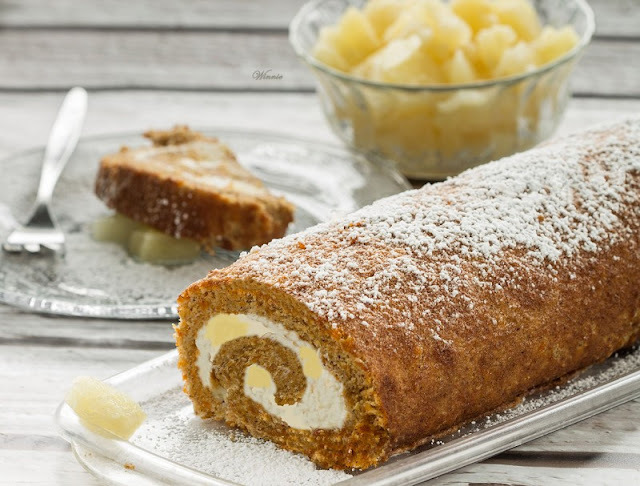 as the distinctive gingerbread scent wafts to you. While he may be less fond of these than of the beef bits, Gregor will still eagerly enjoy these soft treats. The last thing in Gregor's Pet Gift Box was a Holidays Fur All Scented Candle. This cream colored candle smelled of winter, with its spices of clove, cinnamon, and nutmeg and the gentle hint of fir needles. 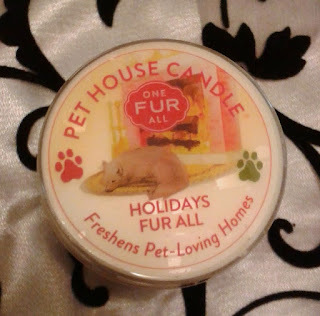 I thought it smelled really good, and burned it just after Christmas during a game night with friends, and it lasted the entire evening. Gregor and I are eagerly anticipating the next two Pet Gift Boxes and discovering new treats and toys and such to give him even more extra love (or spoil him even more rotten...). If you want to give a fur baby in your family a fun subscription box of goodies, plans start at $18.99/box in a 12 month plan! Let me paint a picture for you. You are sitting at your desk at work. Your daily report is due in 30 minutes. It’s almost the end of the day and you just can’t keep your eyes open. You don’t have time to make a pot of coffee and you’re fresh out of your favorite energy drink. Everything is hanging on this moment. If you don’t get this report in on time, you may lose the company a huge contract and might even lose your job over it. But then, you remember your back up plan. You run to the fridge and grab whatever drink you can find (or food even) and pour it into your shaker bottle. 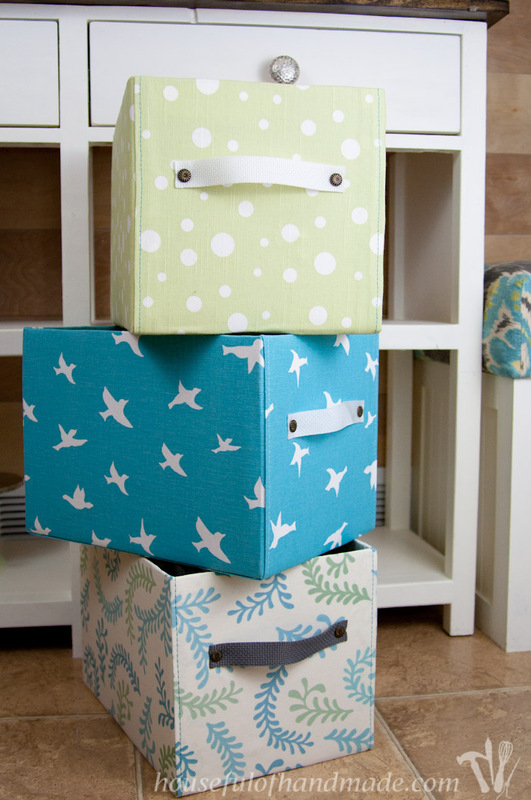 You pull out a small black and blue pouch from your desk drawer and tear the top off. You squeeze the packet into your drink, shake, and chug. Within minutes you are your old self again; refreshed and ready to conquer the world (or at least your report and the drive home). This is the security blanket that is Stakk’d. Stakk’d is a concentrated caffeine supplement that can be mixed into anything. 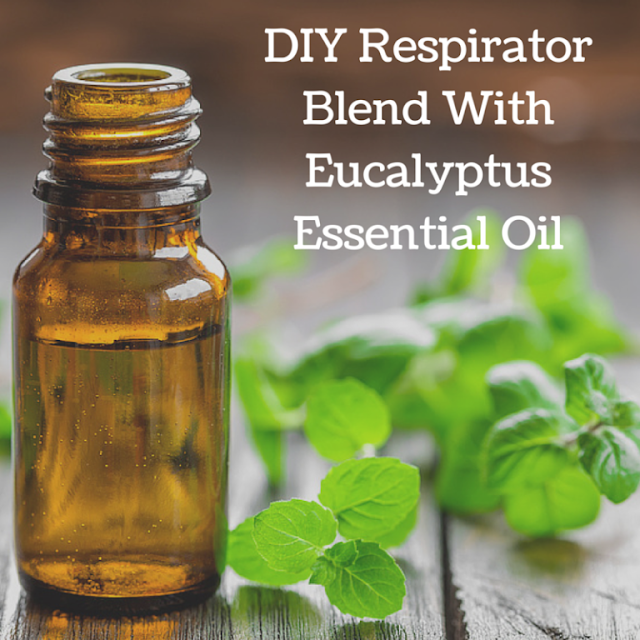 You can mix it into juice, soda, water, milkshakes, coffee, or even food! One little pouch contains 1 fl. Oz. of liquid gold. Contained in this elixir is a mixture of Niacin, Vitamin B6, B5, and 180mg of caffeine. Clocking in at ZERO calories. you can know that you aren’t affecting your diet. This 180mg of caffeine is roughly equivalent to a shot of espresso or 2 cups of coffee. It’s colorless and comes unflavored. 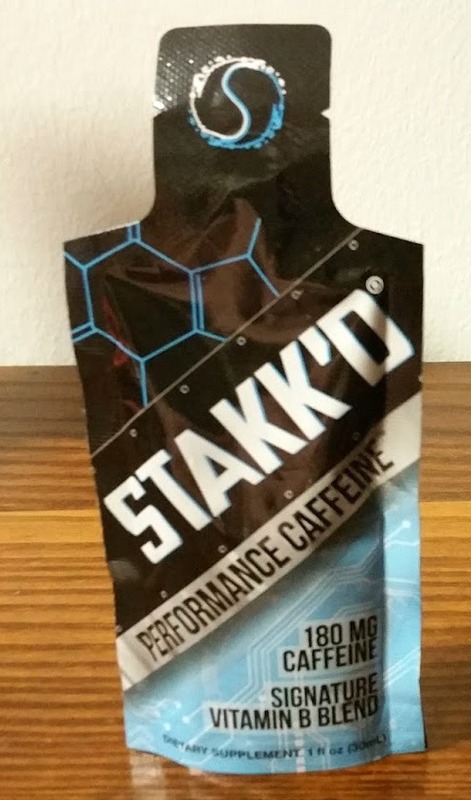 Stakk’d advertises their product as a workout supplement claiming that a study done by the University of Georgia found that a moderate dose of caffeine (180mg) can reduce post-workout pain by up to 48%. While I cannot verify this fact nor am I a scientist I will simply provide you with the information they give. They also say that according to the Journal of Caffeine Research, mixing sugar with caffeine will have different results for each of us. The test that was done was not meant to measure caffeine’s performance but focused on the physiological effects. It is also stated that caffeine is known to release calcium from our cells which is part of the fuel behind muscle contractions. In theory, the increased performance of Methylation in the body could improve performance during a workout. So now that we have a little bit of information on the product let’s get down to the real question. How does it taste? We all know how caffeine works and what it does for the body. But does it taste good? Caffeine, in its pure form, is incredibly bitter. The flavor can be very difficult to get past especially if you have a hyper-active pallet. 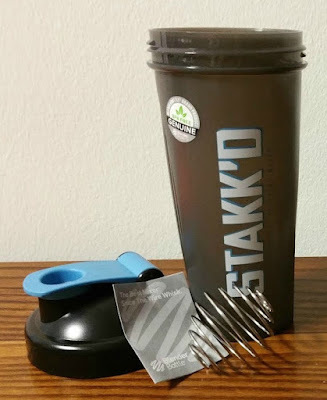 Stakk'd is unflavored, but it still has it's own flavor, and it is pretty intense. Honestly, even pouring half of the packet into 8-10 ounces of just about any liquid was a bit much for me. It was easiest for me to mix it in something that had a very strong flavor to begin with such as juices and non-caffeinated soda. The flavor is so incredibly strong that I couldn’t bring myself to mix it with food or ruin a good cup of coffee with it. I will say, though, that it works as you would expect it to. There’s 2 cups of coffee worth of caffeine packed into these little pouches and you can certainly tell it. Given that this caffeine is pure, concentrated, and very potent, this is one that you will want to keep away from your kids. We all know that massive doses of caffeine can have adverse effects. All that stuff aside you can be assured that this supplement will get the job done for you in a pinch. I can’t make any kind of recommendation as to its use as a work out supplement, however as a quick pick-me-up in a pinch? It can be a real life saver. The shaker bottle that I received from Stakk’d was a great bottle. Nice thick threads on the lid ensure that it screws on easily and tightly. The wire ball included with the cup aids in mixing your caffeine with whatever liquid you choose and the cover over the spout gives a satisfying snap when opened and closed. 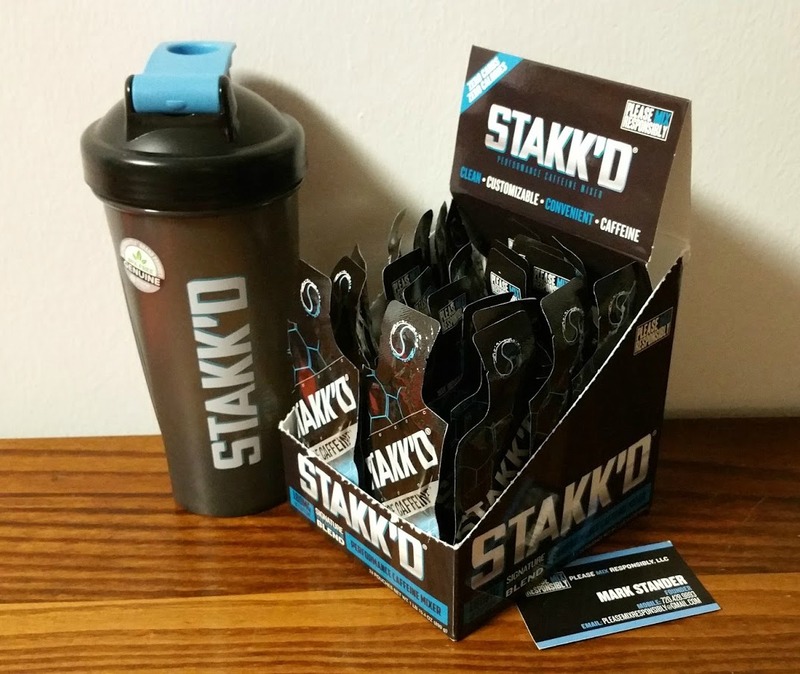 Stakk’d gives you plenty of options for purchasing. On their website, you can pick up the blender bottle for $15.00. A 7 pack of the pouches will run you $14.00 while a 24 pack case costs $48.00. 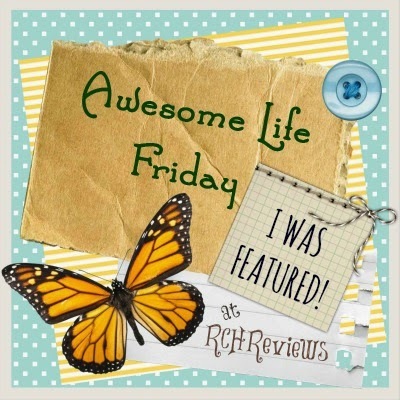 They even offer a subscription service at an awesome price! $30.00 a month plus $6.00 shipping will get you an entire month’s supply (30 pouches). Their subscription service is a much more cost effective option having you paying only $1.00 per pouch. I had a great time trying this product with just about any drink I could think of. If you are interested in checking them out head on over to their website or various social media outlets listed below. I don’t think there is a parent on this planet that doesn’t know about the fruit/vegetable blend squeezy pouches. Which means we are all well aware of the huge mess that comes along with them. The nutritional value that kids willingly accept from them almost make the mess worth it – almost. I personally, have avoided them for the most part. 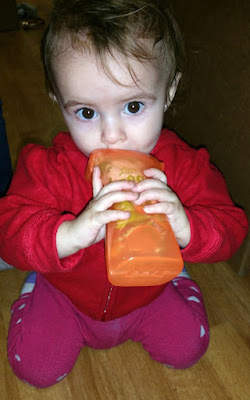 Every now and then I will hold the pouch while my 1 year old sips from it, but that doesn’t provide much in the way of independence, of course. If I hand it to her, its going to end up all over her high chair or car seat, her face and hair and if I'm lucky, some may even go in her mouth. 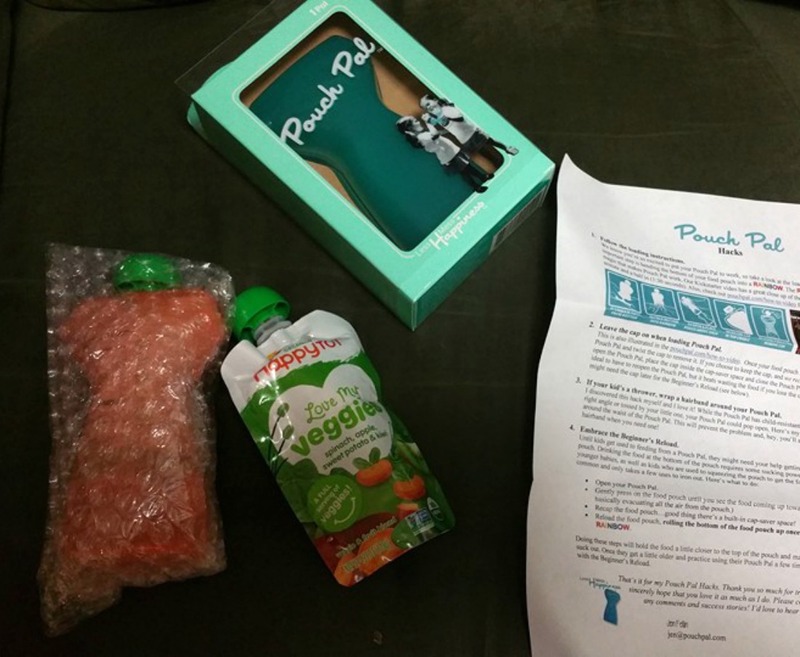 I was very thrilled at the opportunity to try out Pouch Pal! Pouch Pal is a durable plastic snap-on cover creating a squeeze proof feeding experience. It reminds me of the hard plastic holders that exist for juice boxes – except a child can't pull these out at will! While inserting the pouch into the Pal is simple enough, it still took a few times for me to grasp it. There is a bit of a technique to it. For starters, make sure you have a compatible pouch. There are so many different brands out and unfortunately they aren’t all made the same. One of the main things to remember when purchasing your pouches is the notches by the lid. One or two top notches will latch it just fine, but some pouches are made with no notches, or even side open. Also, some pouches are too large. I was afraid that some would be too small, like Buddy Fruits for instance, but luckily they are still compatible. 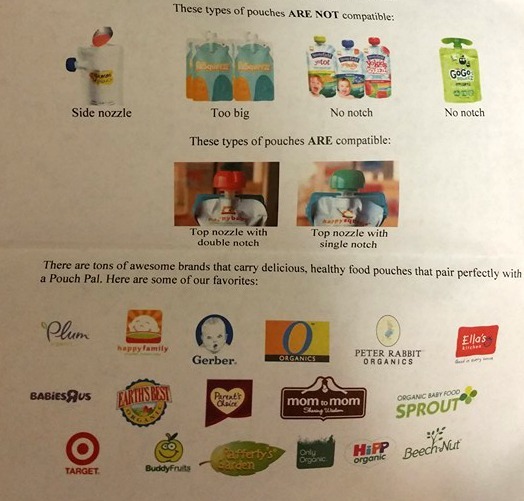 Once you have the correct pouch (and there are LOTS of popular brands that work, most in fact!) you have to create a rainbow with the bottom. 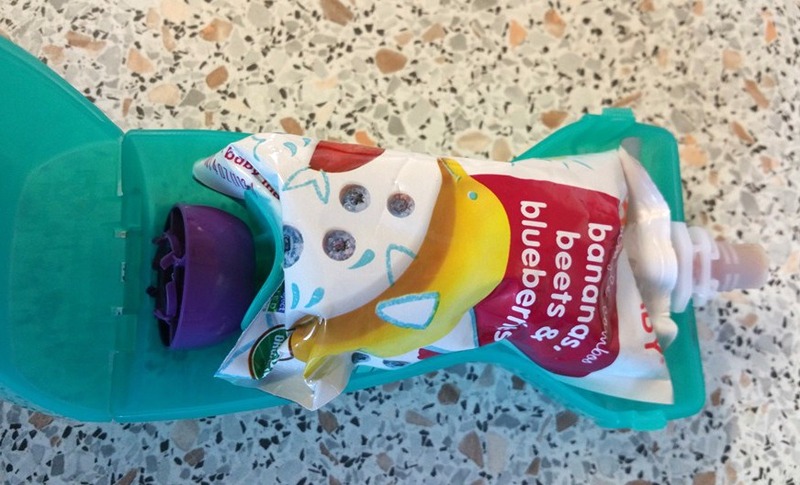 This is what helps the Pouch Pal still deliver the goods to your child, without them being able to squeeze out the contents. Then insert into the Pal, tucking in all the edges so it can close securely. Once it is closed, open the lid. The first few times this created a bit of an explosion, but I just had to get the hang out placement without created unneeded tension. 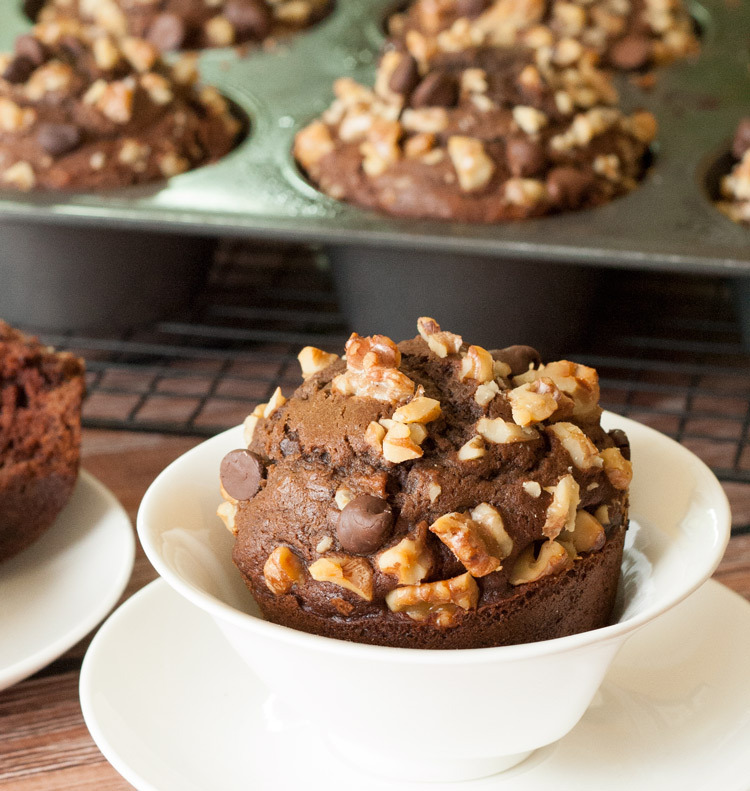 Now you are ready to hand off the tasty treat to your little one. If you think they won't finish off the pouch in once sitting, you can open back up the Pouch Pal and insert the lid into the handy cap saver storage beneath your rainbowed bottom. The child proof locking allows piece of mind that they wont dislodge the pouch, but I still wouldn’t call it “Spill Proof” in our household. We have a thrower. When she is done, she has no signal other than lodging an item as far away from her as possible, which of course causes some mess. This is obviously no fault of Pouch Pal, and nothing they can help avoid. They do suggest wrapping a hairband around the device so when thrown, it wont bust open, but we haven’t had that issue yet. In case of mess, they are easily cleaned by placing in the top rack of the dishwasher. 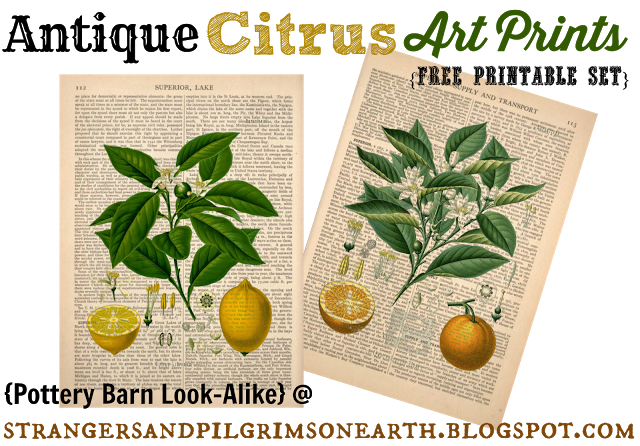 I was sent both their trademark turquoise, as well as an orange. The Pouch Pal is also available in pink and blue. I think this is an amazing tool to have around and would make an excellent gift for new parents! I'm a fan, and will be spreading the word to all my fellow moms, for sure! Although I mostly have my toddler in mind with this, I have a 6 year old that equally loves these pouches. We have to tell her they are apple sauce, and love that she is actually drinking spinach, beet, etc. Now I can have better peace of mind in the car and elsewhere that I wont have a giant mess to clean when she finishes one. Pouch Pal is available for purchase on their website for $10.00 each, and shipping is free when you order 2 or more. They are also available via Amazon. Pouch Pal does ship internationally, but be sure to check you have access to the right sized pouches in your area before making your purchase. 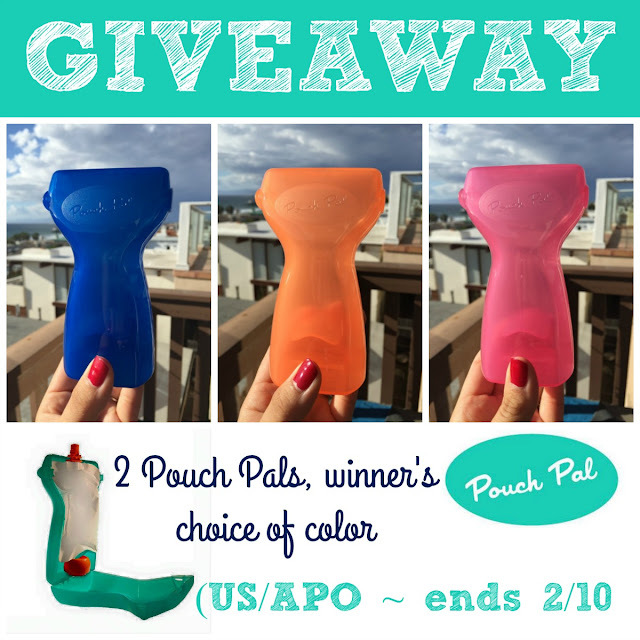 Pouch Pal is offering one US winner (including APO addresses) 2 Pouch Pals in the winner's choice of color! Read on to see how you can enter to win. This giveaway is open to US RESIDENTS ONLY (INCL. APO ADDRESSES) and will end just before midnight ET on 2-10. During my time with Reviews, Chews and How-tos, I've had the pleasure of reviewing several different tea sampling and delivery services. 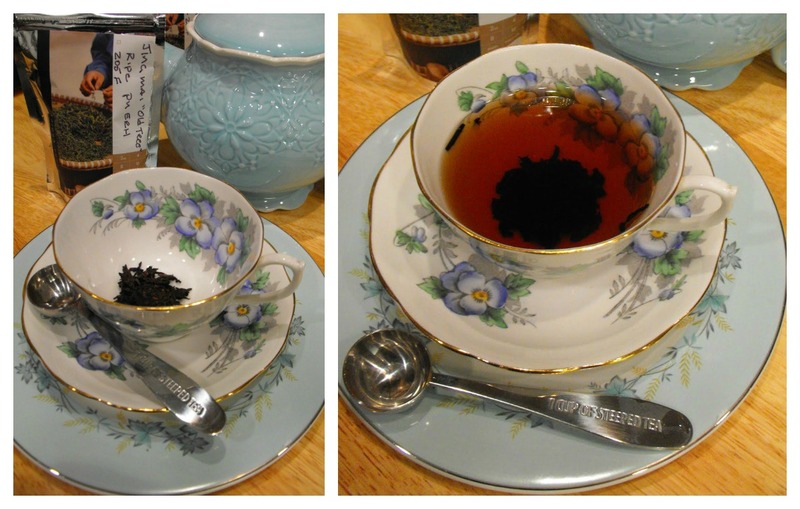 I am a voracious lover of tea so I have jumped at every opportunity to try out a tea service. 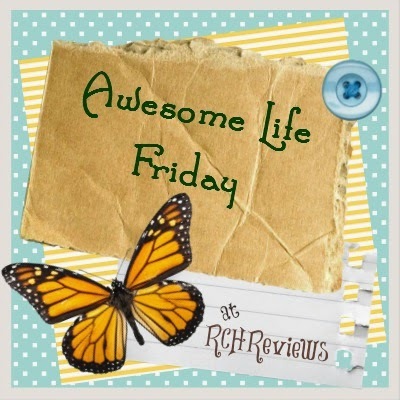 Here for you today is a little something different than my past reviews. I present to you, Smacha Tea. The big difference between this review and my other tea related reviews is that those were more a review of a sample delivery service, where this will be an actual product review. "...tea that's made from the right variety, grown in the proper region, processed correctly, and that meets or exceeds the strictest standards for pesticides and other chemicals—and it tastes great too. We strive to be the most trusted tea brand in the world, providing great service, promoting healthy lifestyles, and educating all of our guests about the value of real tea." Most of my experience with tea has been of the more "British" tradition and variety, so to say that I was out of my element would be a huge understatement. I contacted Smacha to let them know that I would be conducting their product review and received a prompt and courteous reply followed quickly by a neat little box containing 5 bags of green, pu'erh, oolong and red Chinese tea. I have very little experience with what I'll call green teas. As I said, my tastes lean toward a hearty English breakfast tea or a builder's tea. However, I've always been fascinated with the tea ritual involved in properly brewing green tea, so I was excited to give it a go. To my slight dismay though, each bag of tea told me very little about the contents. The names were neatly hand written on the bag, telling me what the variety was and the region it came from but that was about it. 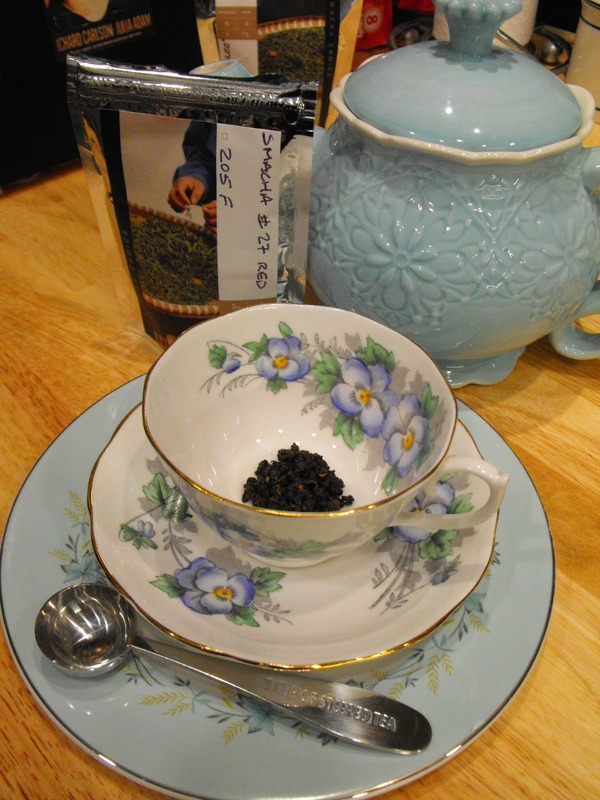 There were no brewing instructions, measurements or flavor profiles with the teas themselves. I visited the Smacha website to see if I could get more information and was able to find brewing instructions for some of the varieties that I received but not all five. I don't consider that to be a negative though. The Smacha website is very easy to navigate and has a clean, beautiful layout. Even though I wasn't sure of the optimal preparation method for each style, I was up for the adventure of figuring it out! 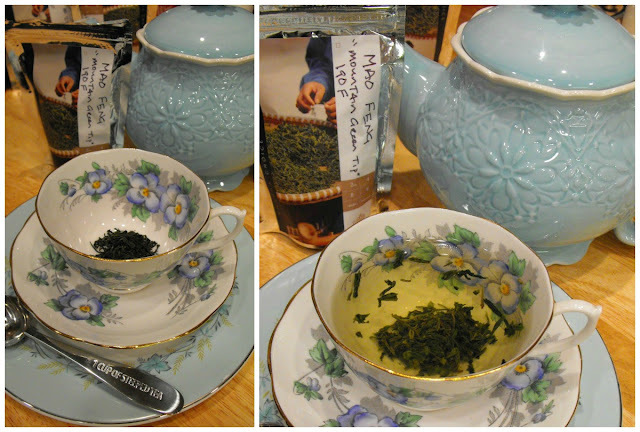 So, I set out to treat my box of teas like a science experiment to get the most out of my review. I know that with some of the green teas I've had in the past, you use water that is not quite boiling at 170°, pour water directly over dried leaves and steep for 2-3 minutes. I treated every variety of tea exactly the same. I placed one level teaspoon of tea into my cup, poured my hot water over the top and set my timer for 2 minutes. 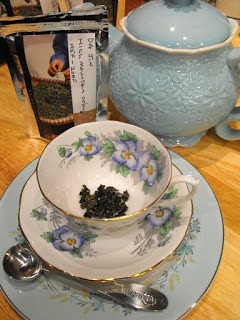 I then tasted the teas and wrote my thoughts on smell, and appearance both dry and brewed and also taste. Jing Mai "Old Tree" Ripe Pu'erh: This tea comes from 100 year old trees that grow in the Jing Mai mountains of Yunnan Province, China. Appearance of dry leaves: matted and blackish in color. Brewed tea was deeply red in color. Jing Mai "Old Tree" RAW Pu'erh: The difference between the ripe pu'erh and the raw pu'erh is in how the leaves are fermented. The raw pu'erh leaves are still green. This tea, like the ripe pu'erh comes from the 100 year old trees in the Jing Mai Mountains of Yunnan Province, China. Taste of brewed tea: very subtle, clean, slightly citrus, subtle sweetness. This was my second favorite next to the oolong, below. 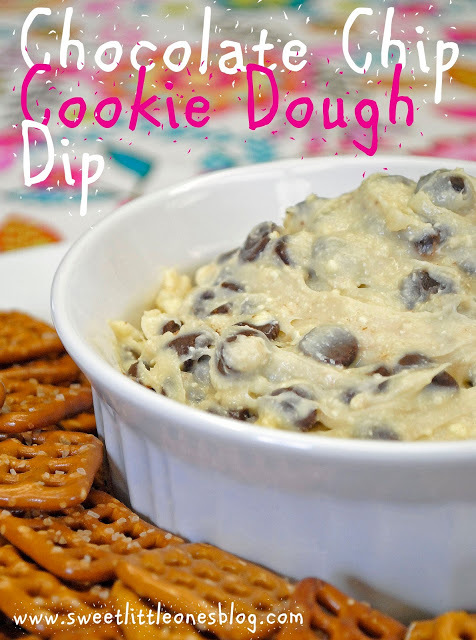 I could easily enjoy a pot of this any time of day. Da Jin High Mountain Oolong: This tea comes from "a 60 year old mountain top tea garden" in the Da Jin mountains of Fujian China. Brewed tea was golden yellow in color. This was my favorite variety. I feel like I could drink this all day. 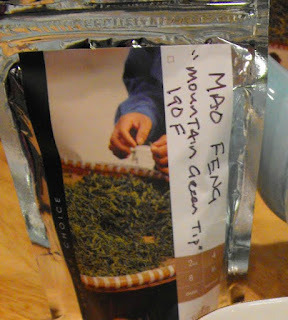 Mao Feng "Mountain Green Tip": The brewing instructions were available for this variety and it is also listed as their best seller. This variety comes from Wuyi, Zhejiang Province, China. Brewed tea was pale green in color. This was my least favorite variety - definitely one for those who love green tea. Smacha Red #27: Brewing instructions were available for this variety also. This variety comes from Anxi, Fujian Province, China. Appearance of dry leaves: pearled and blackish in color. Brewed tea was pale orange in color. This tea was closest in taste to my usual favorite black teas. I quite enjoyed it. After conducting my experiment and writing most of this review, it dawned on me that there was a number on each of the varieties of tea I received. That number was the proper brewing temperature of the water. I assumed it was a designation of variety so I overlooked it. That was a personal error on my part! I have learned a whole new appreciation for tea through this review, and I'm excited to continue drinking these wonderful teas. I'm currently looking into getting a proper set up for brewing and serving these types of teas, as my English tea set seems anachronistic for the purpose. Smacha carries a good variety of teaware, too! 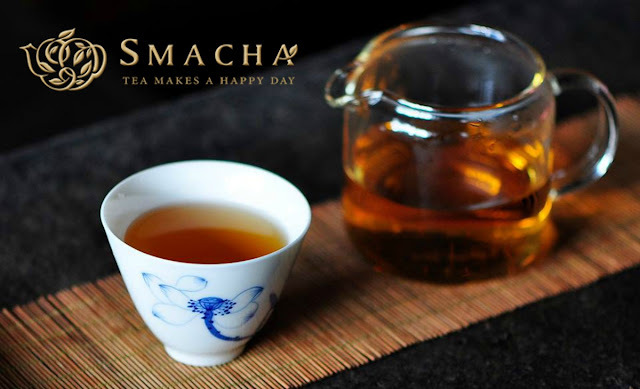 Smacha has a brick and mortar store that you can visit in Bellevue, Washington where they will teach you the art of brewing tea. 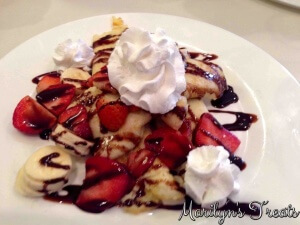 They serve desserts and drinks made from their products. I am putting a visit to their shop on my bucket list. If you would like to learn more about the art of brewing tea, please visit Smacha on their website, YouTube, Facebook, Twitter and Instagram.